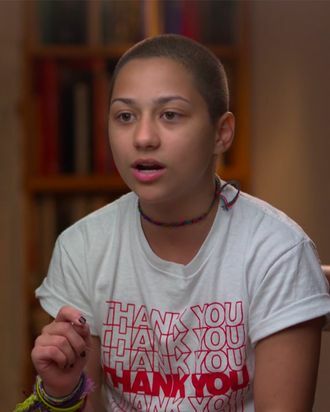 After surviving the shooting at Marjory Stoneman Douglas High School that claimed the lives of 17 of her peers, student Emma González has emerged as one of the most vocal activists in the fight for gun control. And in an upcoming 60 Minutes segment, she shares her thoughts on the proposals to arm teachers — which President Trump has supported, even suggesting that educators who carry guns could be rewarded with bonuses. Watch a clip below, and her full segment on Sunday, March 18, at 7 p.m. ET.